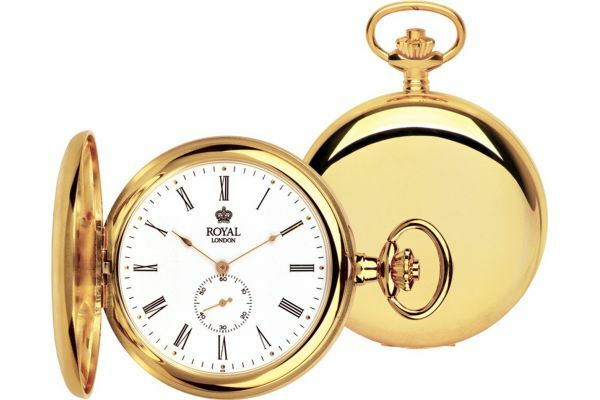 Men's traditional high quality stainless steel gold plated pocket watch with a polished 50mm case. Has a minimal white dial with bold black Roman numerals, gold hands and a seconds sub dial. Chain included. For us to size your new Royal London watch as accurately as possible, please take a look at our downloadable Watch Sizing Guide.